Treat yourself to the perfect family getaway and celebrate the end of the year with great savings from Beaches! Experience more quality inclusions than any other resorts in the world like unlimited luxurious accommodations, gourmet dining, premium branded drinks, a wide array of land and water sports including water parks and fun-filled activities for tots, tweens and teens, all at Beaches Resorts! A family vacation with a state-of-the-art waterpark and three magnificent villages. A family vacation beyond compare on Jamaica's famous famous 7-mile beach. A hideaway for the entire family on the shores of Jamaica's stunning north coast. A family resort where the soul of the tropics has an easy elegance, and the rhythm is upbeat yet relaxed. It was our first vacation outside of the US and first time to Beaches Turks & Caicos. Words can't describe the attentive staff, delicious food, beautiful rooms and just an amazing vacation experience!!! Our favorite restaurant was Kimonos...the hibachi was delicious and the chef was really entertaining. The glow worm tour was soo amazing...something my son will always remember. *Save up to 65% offer is valid for new bookings made by Dec. 23, 2010 at select Beaches Resorts and room categories for specific travel dates. Maximum 2 person limit for offer. Blackout dates may apply. Promotion is combinable with Sandals/Beaches consumer savings promotions for 2010. **Free Night offer is valid for new bookings made by Dec. 23, 2010 at select Beaches Resorts and select room categories for specific travel dates. It only applies to adults, (children do not receive the free night). Maximum 2 person limit for offer. Blackout dates may apply. Promotion is combinable with Beaches consumer savings promotions for 2010. Offer is not combinable with any other free night promotion or resort's credit nights. ***Red Lane® Spa credit offer is valid for new bookings made by Dec. 23, 2010 at select Beaches Resorts and select room categories for specific travel dates. Maximum 2 person limit for offer. Blackout dates may apply. Promotion is combinable with Sandals/Beaches consumer savings promotions for 2010. Which Sandals Resort Is Your Love Match? 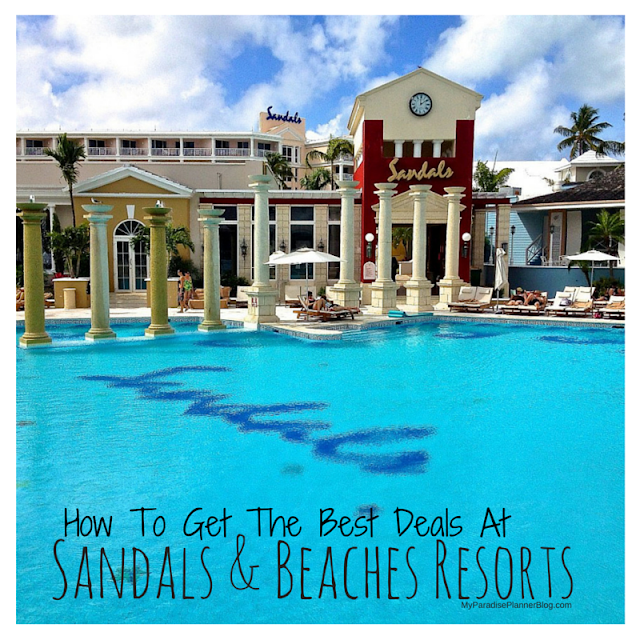 Up To 65% OFF + 2 Nights FREE At Sandals Resorts!